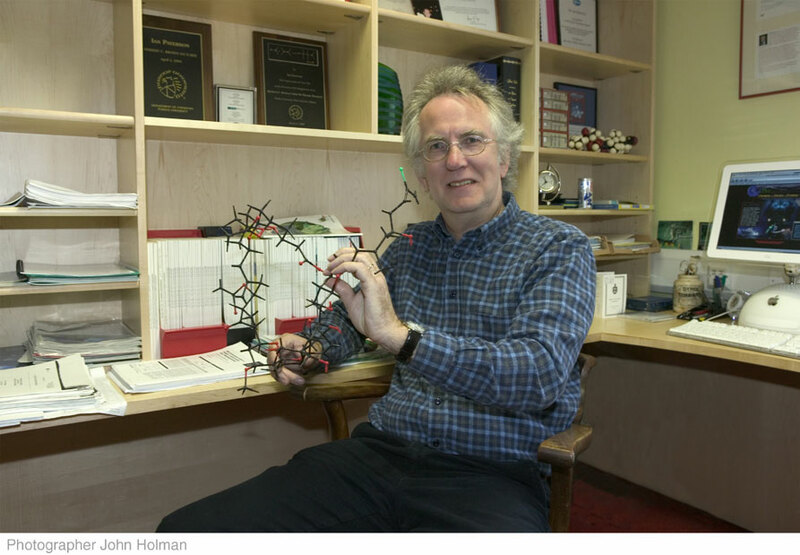 Our research areas include the total synthesis of various biologically active natural products and the discovery and development of new synthetic methods, with particular interest in asymmetric reactions. There is a need for new and more efficient methods of synthesis, particularly ones that exhibit high levels of stereocontrol. 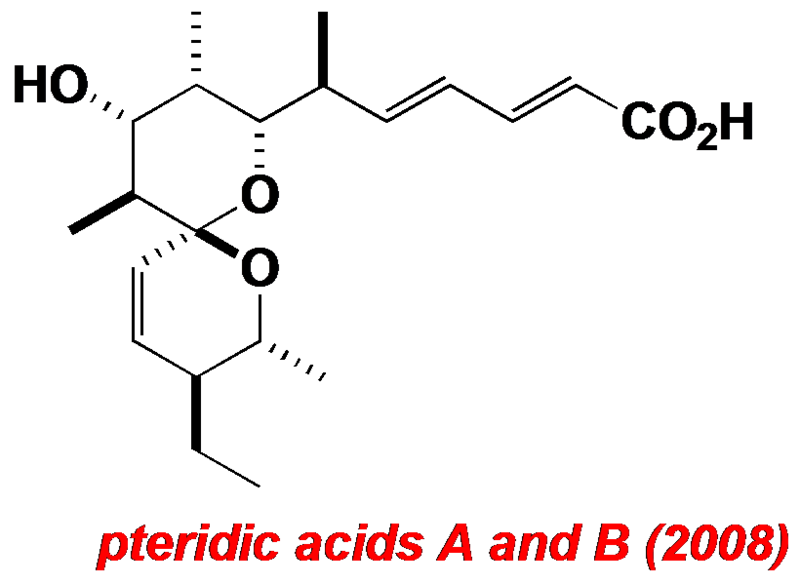 Asymmetric aldol methodology, where enolate geometry controls the absolute stereochemistry in C-C bond formation with aldehydes, is of particular interest. 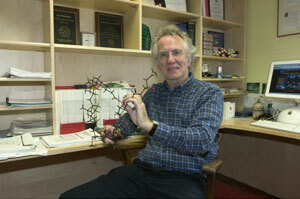 These new methods are being applied to the synthesis of a wide variety of important natural products. Current targets include those illustrated below. 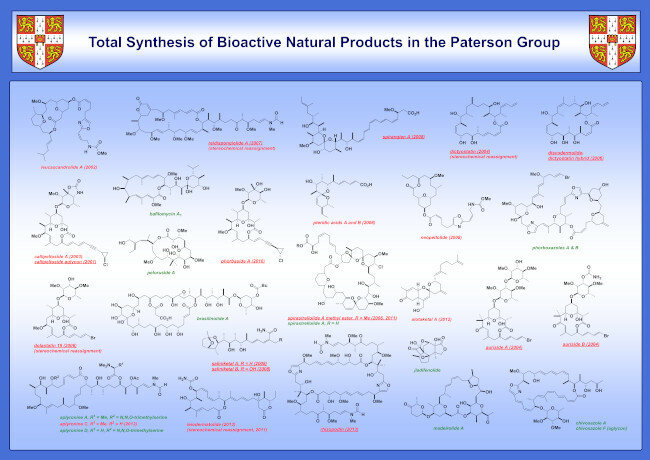 We aim to provide short and flexible synthetic routes for the construction of these complex polyoxygenated structures and their analogues, which show significant biological activity but have low natural abundance. aplyronines A and D 2018 Org. Biomol. Chem. 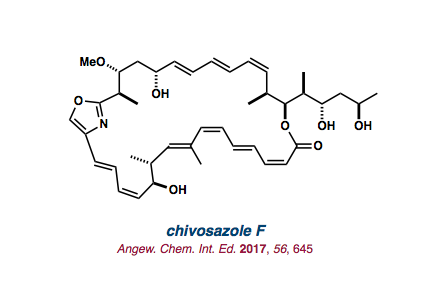 2018, 16 1343.
chivosazole F 2017 Angew. Chem. Int. Ed. 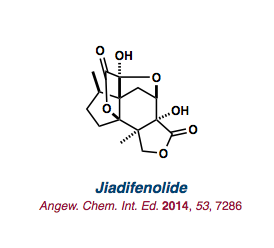 2017, 56 645-649.
jiadifenolide 2014 Angew. Chem. Int. Ed. 2014, 53 7286-7289. 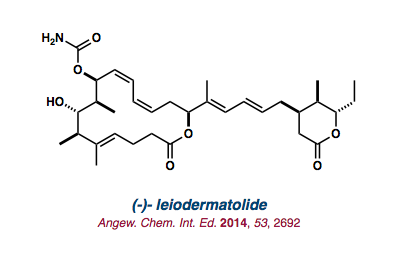 (-)-leiodermatolide 2014 Angew. Chem. Int. Ed. 2014, 53, 2692-2695. 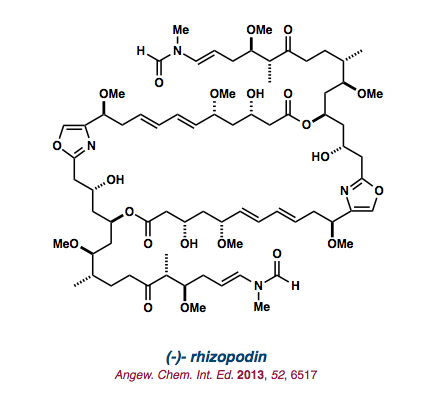 (-)-rhizopodin 2013 Angew. Chem. Int. Ed. 2013, 52, 6517-6521.
alotaketal A 2012 Org. Lett. 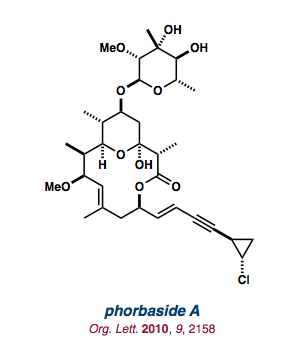 2012, 14, 5492-5495.
phorbaside A 2010 Org. Lett. 2010, 12, 2158-2161.
spirangien A 2009 Chem. Asian J. 2009, 4, 594-611. (+)-neopeltolide 2008 Chem. Commun. 2008, 37, 4708-4710. (-)-saliniketals A & B 2008 Org. Lett. 2008, 10, 3295-3298.
pteridic acids A & B 2008 Tetrahedron 2008, 64, 4768-4777. 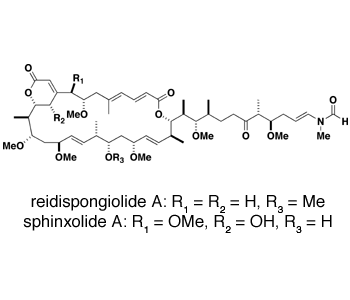 (-)-reidispongiolide A 2006 Angew. Chem. Int. Ed. 2007, 6167-6171. 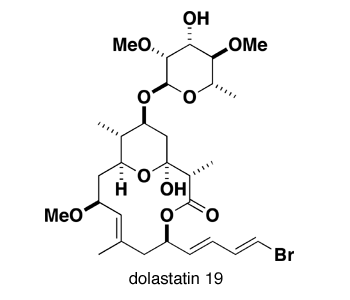 (+)-dolastatin 19 2006 Org. Lett. 2007, 2131-2134, Tetrahedron 2006, 5806-5819. (+)-leucascandrolide A 2002 Angew. Chem. Int. Ed. 2003, 42, 343-348.
siphonarin B 2001 Org. Lett. 2002, 4, 391-394. 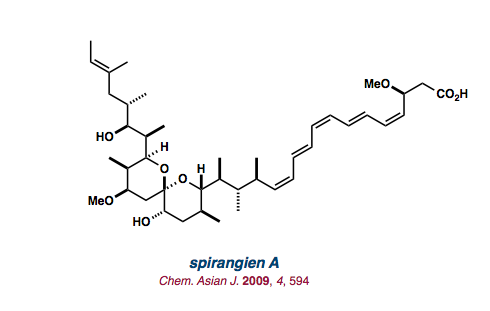 (+)-altohyrtin A/spongistatin 1 2001 Angew. Chem. Int. Ed. 2001, 40, 4055-4060., Org. 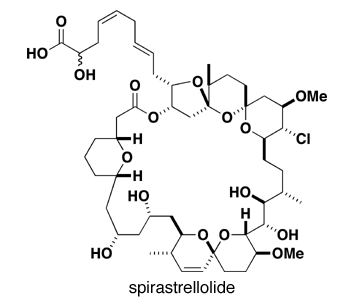 Biomol. Chem. 2005, 2399-2440. 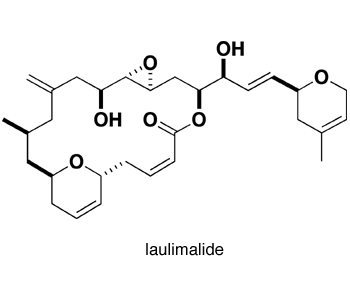 (-)-laulimalide 2001 Org. Lett. 2001, 3, 3149-3152. (+)-discodermolide 1999, 2001 Angew. Chem. 2000, 112, 385-388., J. Am. Chem. Soc. 2001, 123, 9535-9544. (-)-baconipyrone C 1999 Org. Lett. 2000, 2, 1513- 1516. (+)-concanamycin F 1999 Angew. Chem. Int. Ed. 2000, 39, 1308-1317. 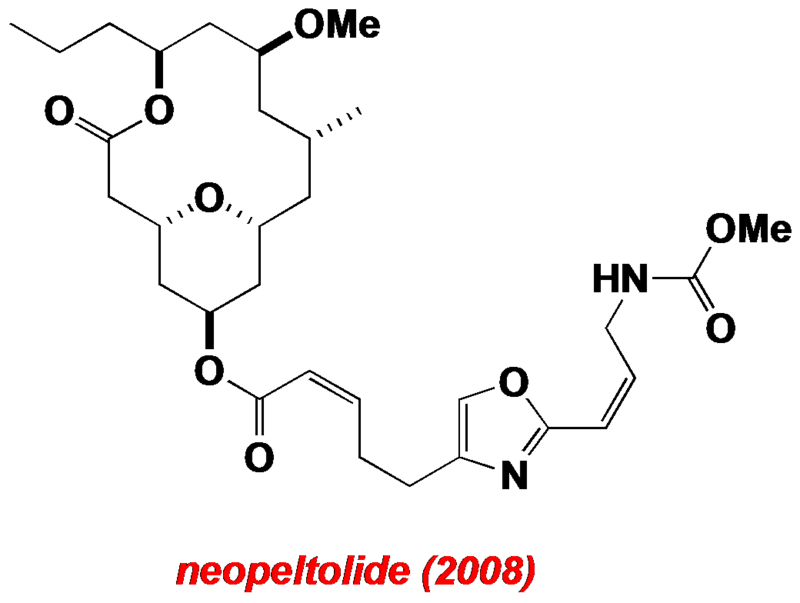 (+)-elaiolide 1999 Org. Lett. 1999, 1, 19-22. 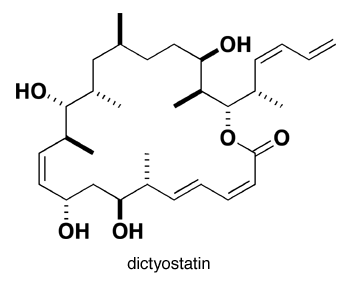 (-)-tetrahydrolipstatin 1999 Tetrahedron Lett. 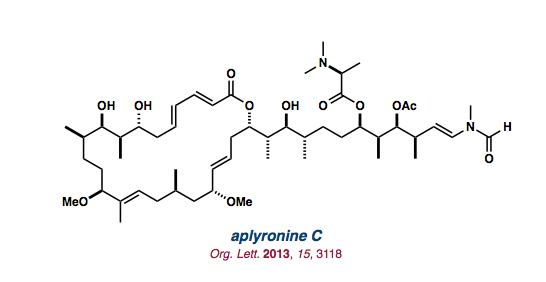 1999, 40, 393-394.
scytophycin C 1997 J. Org. Chem. 1997, 62, 452-453.
zaragozic acid C intermediate 1997 Tetrahedron Lett. 1997, 38, 4301-4304. (+)-restricticin 1996 Tetrahedron Lett. 1996, 37, 8243-8246. 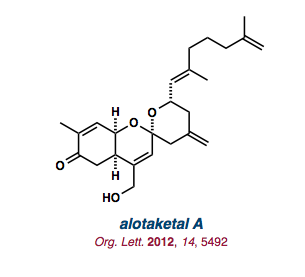 (-)-ACRL toxin IIIB 1994 Tetrahedron Lett. 1994, 35, 9477-9480. 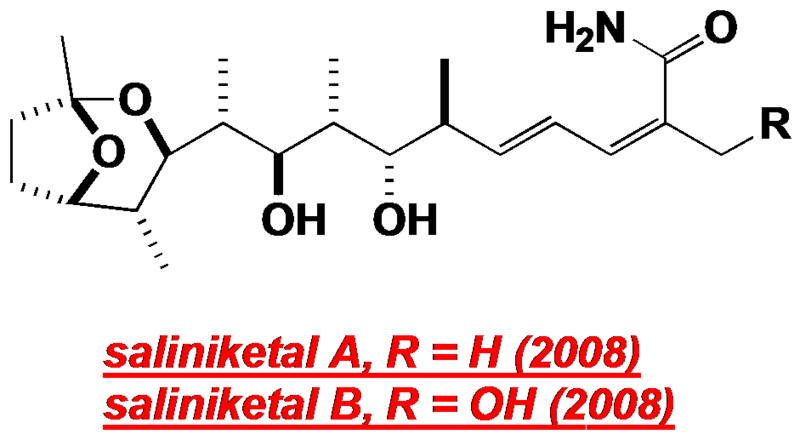 (-)-ebelactone A and B 1993 J. Org. Chem. 1995, 60, 3288-3300. 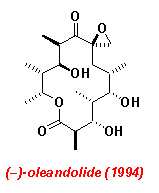 (-)-oleandolide 1994 J. Am. Chem. Soc. 1994, 116, 11287-11314. 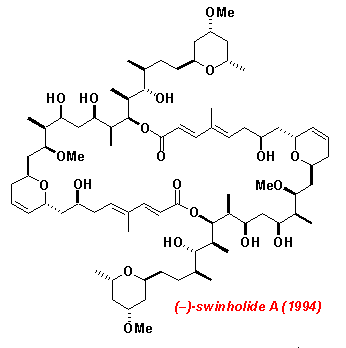 (-)-swinholide A 1994 J. Am. Chem. Soc. 1994, 116, 9391-9392. 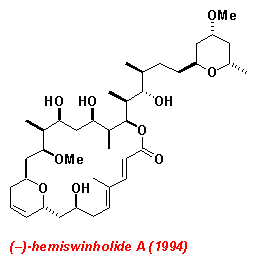 (-)-hemiswinholide A 1994 J. Am. Chem. Soc. 1994, 116, 9391-9392. (+)-muamvatin 1993 J. Am. Chem. Soc. 1993, 115, 1608-1610. (-)-denticulatins A & B 1992 Tetrahedron Lett. 1992, 33, 801-804.